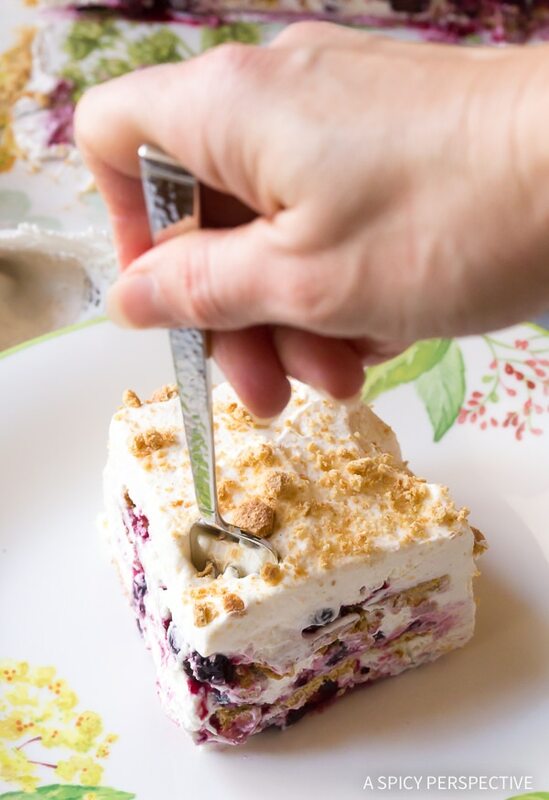 Bright and creamy No-Bake Lemon Blueberry Icebox Cake, a cool summer sensation with only 9 ingredients! Summer desserts are so exciting! We don’t want to turn on the oven and heat up the house. So instead, we get creative with all sorts of no-bake treats. Necessity is the mother of invention, indeed. Earlier this year I made an icebox cake that my husband has been ranting about for months. What’s even funnier it that the whole family loved it so much they each made one themselves, all in the same week. Ava made an icebox cake for Carson’s birthday. Carson made an icebox cake for Valentine’s Day. What was I doing while they were all baking caking? 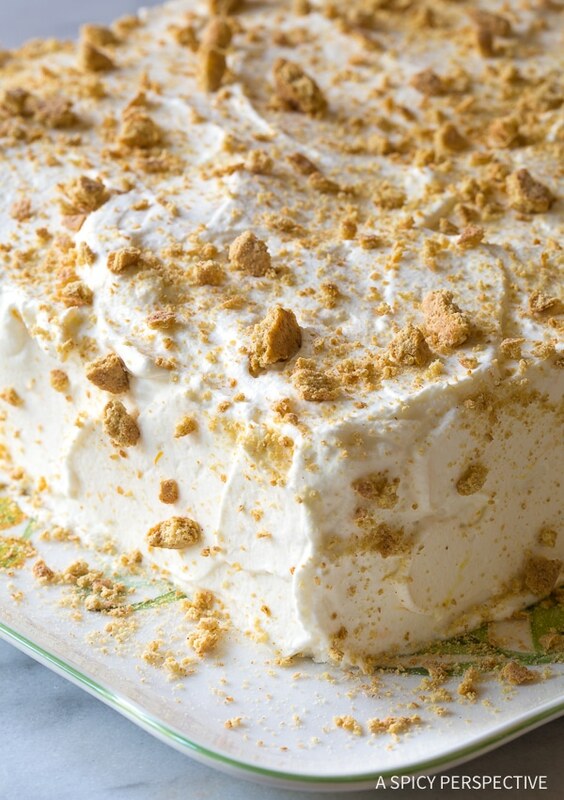 Well, that’s the beauty of an icebox cake…. It doesn’t matter what I was doing, because they are so easy to make, no one needed my help. 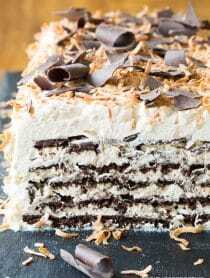 An icebox cake is a no-bake dessert layered with graham crackers or thin cookies, and various creamy fillings. It’s then frozen solid for easy cutting. 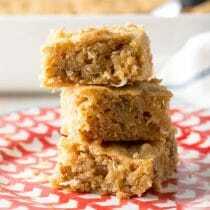 The moisture in the filling softens the graham crackers or cookies so they plump up forming cake-like layers. You can soak the graham crackers in milk or liquor to give them a head-start, or just allow the cream to work its magic. Some icebox cakes are made with pudding. However, I like them best made with freshly whipped cream. Once the whipped cream freezes it has a light airy ice cream texture. 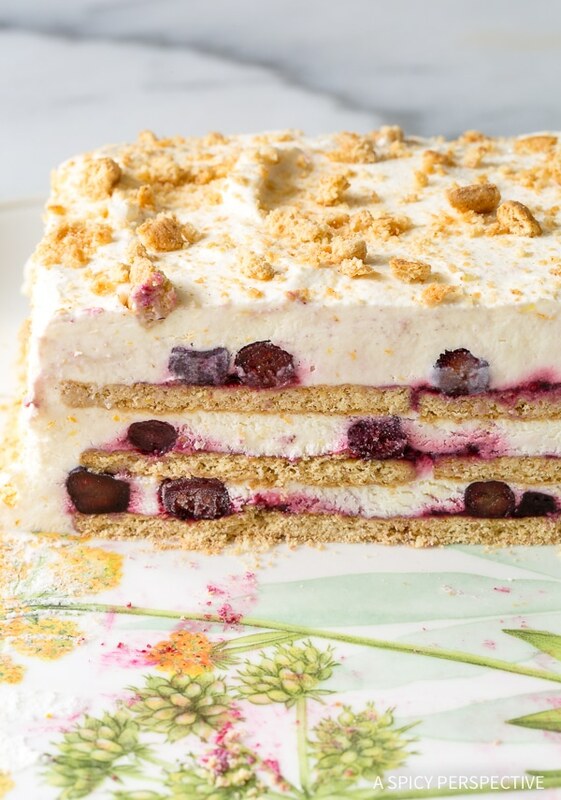 Today’s recipe is a fabulous icebox cake for summer, filled with fresh blueberry sauce and lemon cream. 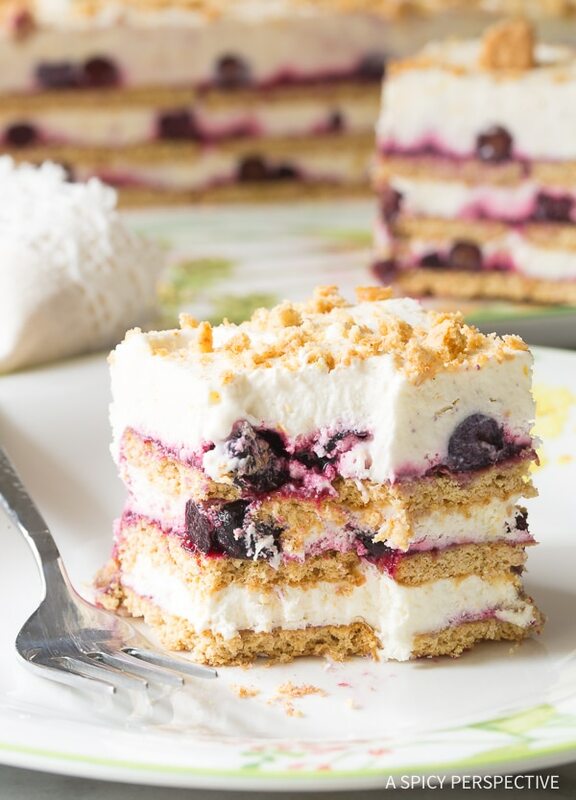 Our Lemon Blueberry Icebox Cake is a simple dessert that seems both casually approachable, yet a little bit fancy. 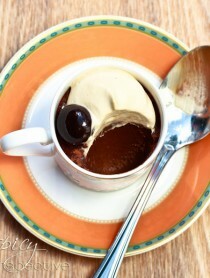 That makes it the perfect dessert to serve at barbecues, or at a summer dinner party. 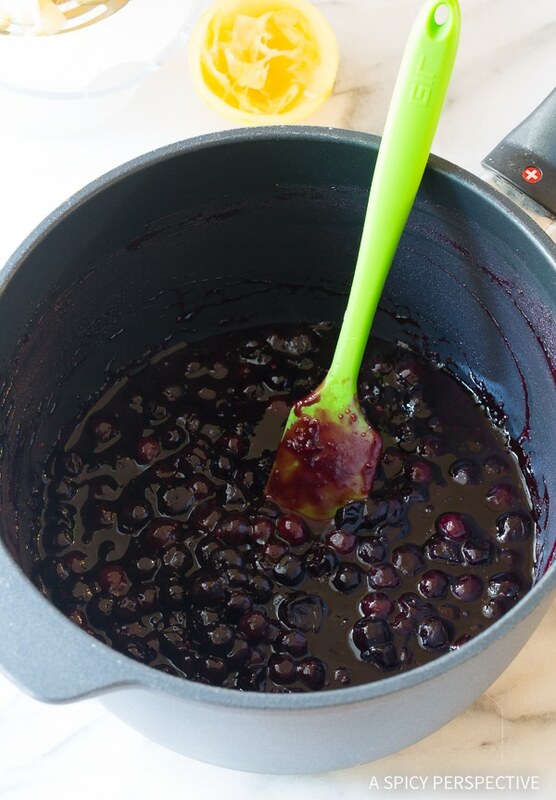 Make a blueberry filling by simmering fresh blueberries with lemon juice and sugar. Then cool the sauce completely, so it doesn’t melt the whipped cream. Next whip heavy cream with sugar, vanilla, and lemon zest for a perky citrus cream filling. 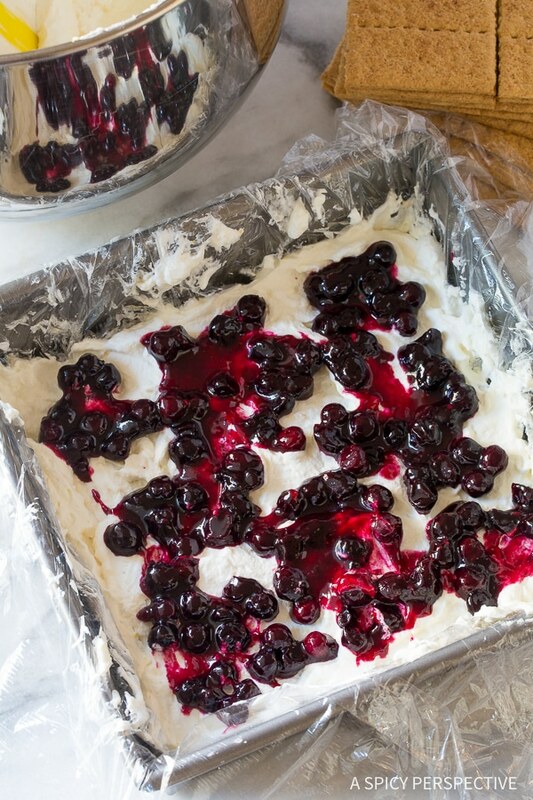 Spread the cream in a baking pan lined with plastic wrap, then start layering blueberries, graham crackers, and more cream until you fill up the pan. Freeze the cake. Once it’s solid, flip it out of the pan, and spread more whipped cream over the top. Sprinkle with crumbled graham crackers. Done! 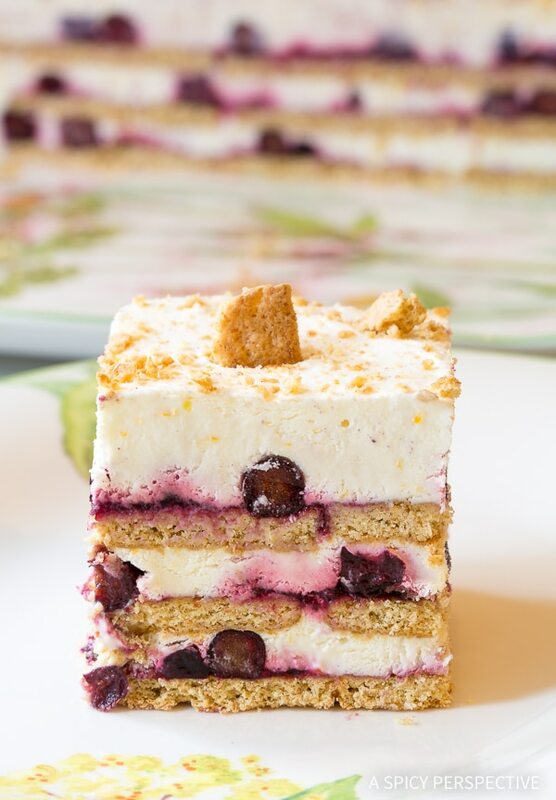 Although there’s a bit of a wait while the Lemon Blueberry Icebox Cake is freezing, your actual work time is mere minutes. 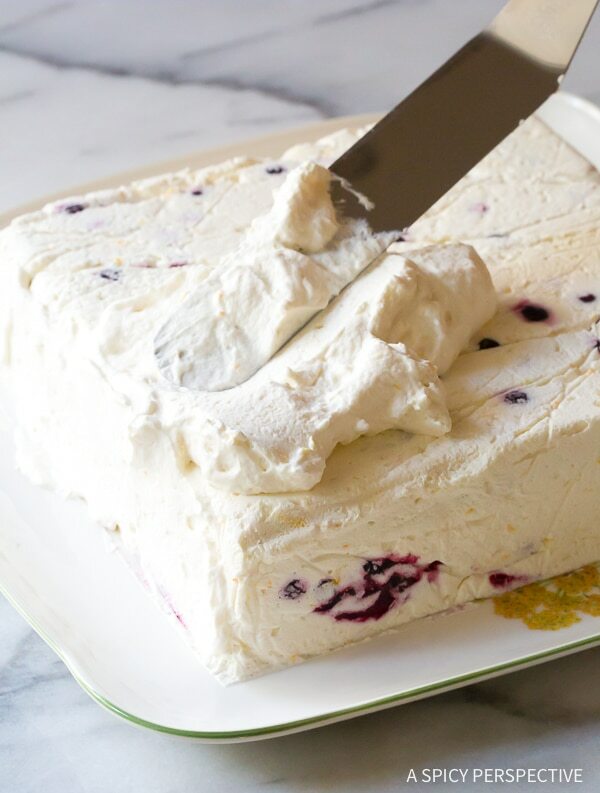 Lemon Blueberry Icebox Cake Recipe - A no-bake cake you can make in minutes! With just 9 ingredients, this freezer cake is the perfect cool treat for summer. Meanwhile, lay two long pieces of plastic wrap out on the counter, one overlapping the edge of the other, to create a large square. Line an 8x8-inch baking dish with the plastic wrap, letting the extra plastic hang over the edges. Pour the heavy cream in the bowl of an electric mixer. Add the sugar and vanilla. Use a whip attachment to whip the cream into firm peaks. Scrape the bowl and add the lemon zest. Whip again to make sure the whipped cream is thick and smooth. Once the blueberry filling is no warmer than room temperature, start layering the cake. Spread 1/2-inch whipped cream over the bottom of the pan. Carefully spread 1/3 of the blueberries over the cream. Then press nine square graham crackers evenly into the cream. Repeat in this order two more times, creating 3 layers each of cream, blueberries, and graham crackers. Wrap the excess plastic up over the top of the cake. 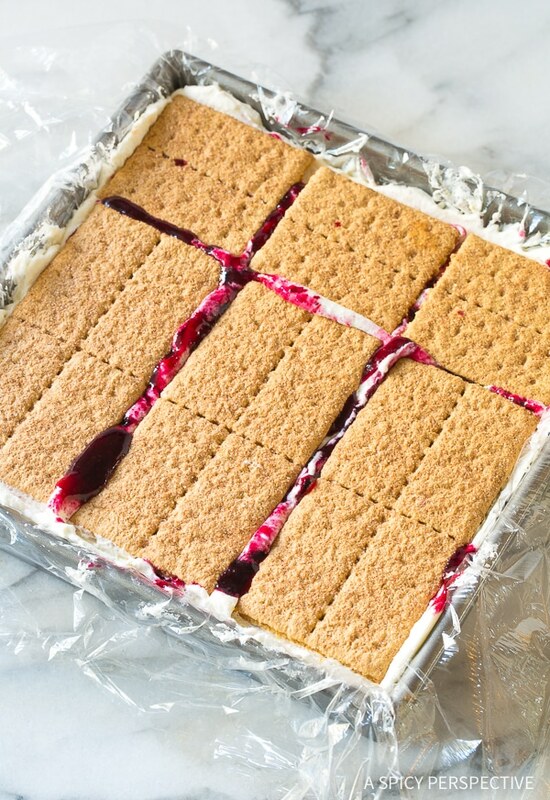 Let it sit on the counter for 15 minutes, so the moisture can soften the graham crackers. Then freeze for 2 hours, or until solid. Keep the remaining whipped cream in the refrigerator for later use. Once frozen, unwrap the top of the cake and flip it out onto a flat platter. Peel off the plastic wrap. Spread the rest of the whipped cream evenly over the top and sides of the cake. 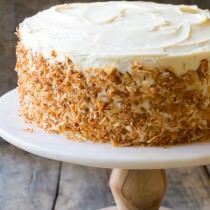 Crumble the last three graham crackers and sprinkle over the cake. Then freeze to harden. 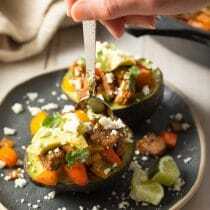 After the outer layer is hard, either cut and serve, or wrap well so it does not get freezer burn. Don't like blueberries? 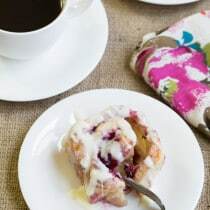 You can use this exact same recipe substituting strawberries, cherries, or raspberries. If well wrapped, this cake can last in the freezer for months. Looks yummy however I’m not a big fan of graham crackers can you use vanilla wafers in place of? Oops, I forgot to take a picture, but it sure was tasty and people liked it at the barbeque. 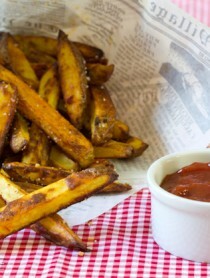 Thanks for such a fabulous recipe! I’ll be using this one again and again. Coconut Milk, great idea and thanks for the tips! OMG, this is my new favorite cake. It was so easy to make and the entire family loved it! Now I’m going to try it with blackberries. sounds delish. does it have to be frozen?? I thot if i just put in fridge and have for dessert in evening would be good? Can’t wait to make this. I never tried an icebox cake before, but will now, as your instructions are so detailed. If I used raspberries instead, would I leave out the lemon? Thanks! I love the idea of real whipped cream but someone here is lactose intolerant. Any suggestions? I like cooking with real ingredients but also have a blueberry lover here. Same person, go figure! You could use the day in coconut milk to make coconut whipped cream. It’s super good! Yes, as Gillian said, I would whip coconut cream in the place of the heavy cream. It will change the flavor a tad, but will still be delicious! Two things to know before you try this… A) Chill the cans of coconut cream hours before you whip it, so it’s very cold. B) Heavy cream doubles in size when you whip it, but coconut cream doesn’t expand nearly as much. You might need 3 1/2 to 4 cups of coconut cream to whip for this recipe.